TORONTO — The biggest stage of the season is about to roll out in Edmonton this week, as the Calgary Stampeders and Ottawa REDBLACKS meet in the 106th Grey Cup presented by Shaw. Last year brought no shortage of Grey Cup heroics, from DeVier Posey trudging 100 yards through the snow to Matt Black hauling in the game-winning interception, capping off an upset for the ages. Sunday will mark the birth of new heroes and legacies. Many will see the big lights for the first time, like REDBLACKS receiver RJ Harris or Stampeders defensive back Tre Roberson. Calgary receiver Chris Matthews, meanwhile, will try to replicate his success from the Super Bowl a few years ago. Then there are the familiar faces. 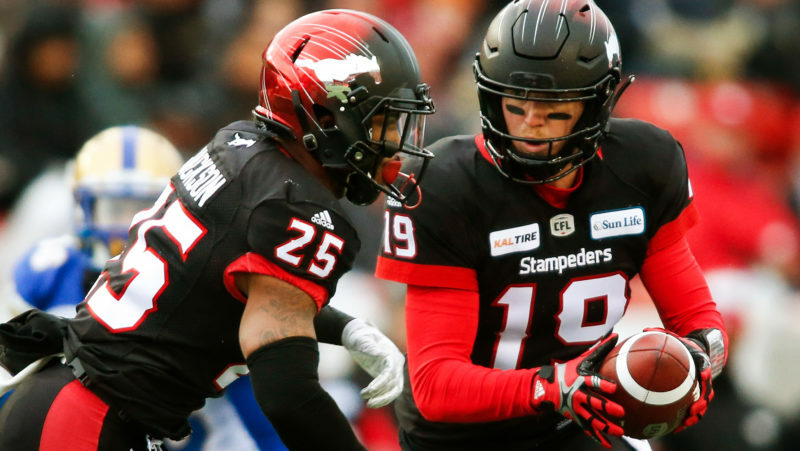 Bo Levi Mitchell has redemption on his mind after back-to-back Grey Cup losses, while his counterpart Trevor Harris makes the first start of his career in a professional championship. 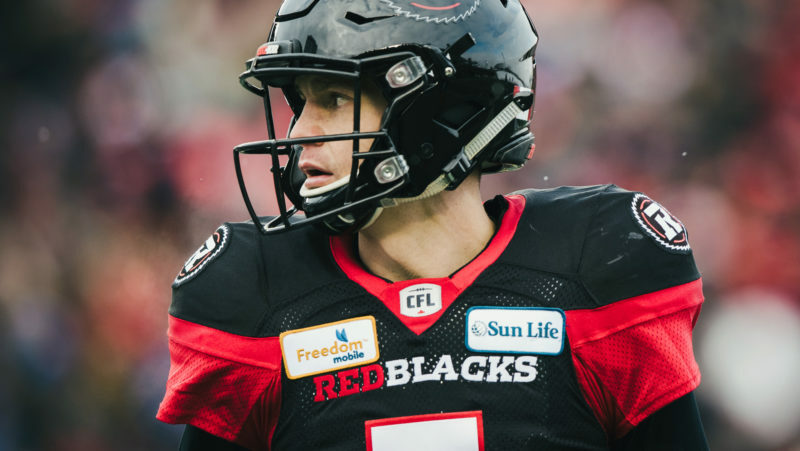 After topping CFL.ca’s original top-30 playoff list, Trevor Harris backed up the hype with a record-setting six-touchdown performance in the Eastern Final. A Grey Cup is the only thing that’ll truly silence his detractors, and defeating the league-leading Stampeders is no small task — but Harris has been the best quarterback in the league the last two months, throwing 17 touchdown passes and just two interceptions in his last seven starts. He’s ready for the big stage. 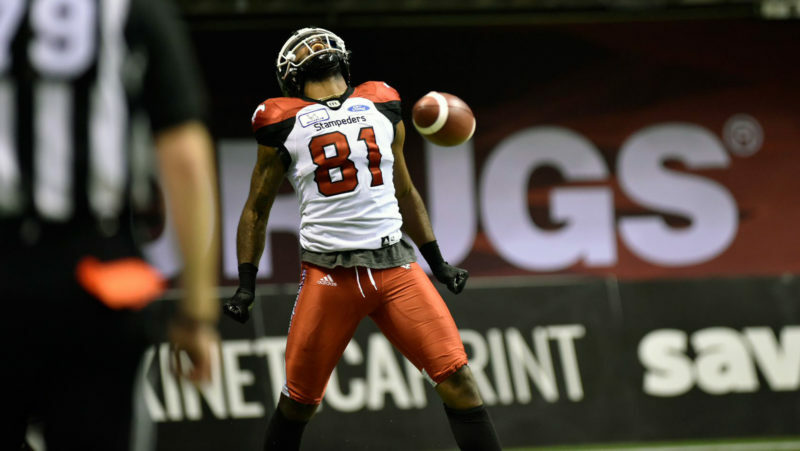 With a dominant air attack that includes the league’s top trio of pass-catchers, it’s easy to see how William Powell‘s name gets lost in all the excitement of the REDBLACKS’ offence. He’s been critical to their success though, balancing their attack with the second-most rushing yards in 2018 just behind Bombers running back Andrew Harris. One of the CFL’s best pure runners, Powell will need to be involved against the league’s top run defence as Ottawa can’t afford to be one-dimensional. It was a 100-yard touchdown by Argos receiver DeVier Posey that made last year’s Grey Cup upset possible. 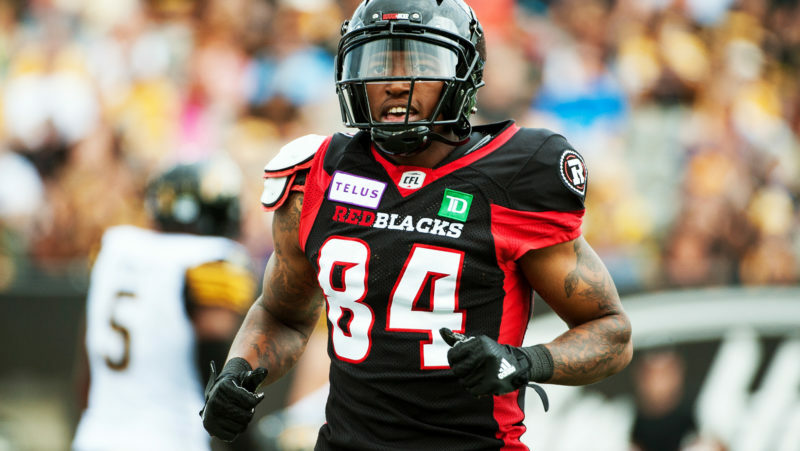 The REDBLACKS are hoping for something similar against these very same Stampeders, and Diontae Spencer is the man for the job. 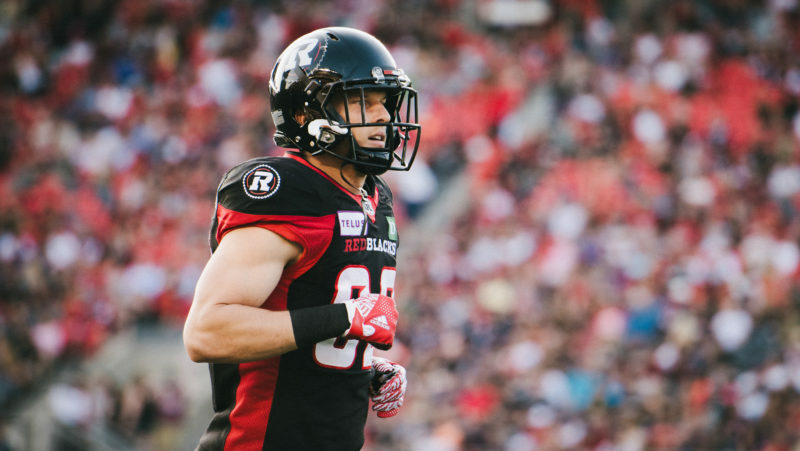 Coming off a two-touchdown performance in the Eastern Final, Spencer is one of the most electrifying players in the CFL. Offensive coordinator Jaime Elizondo uses him in a number of creative ways, making him a threat to score any time he touches the ball. After a quiet Eastern Final, you can assume Brad Sinopoli will see plenty of targets in Sunday’s championship game. 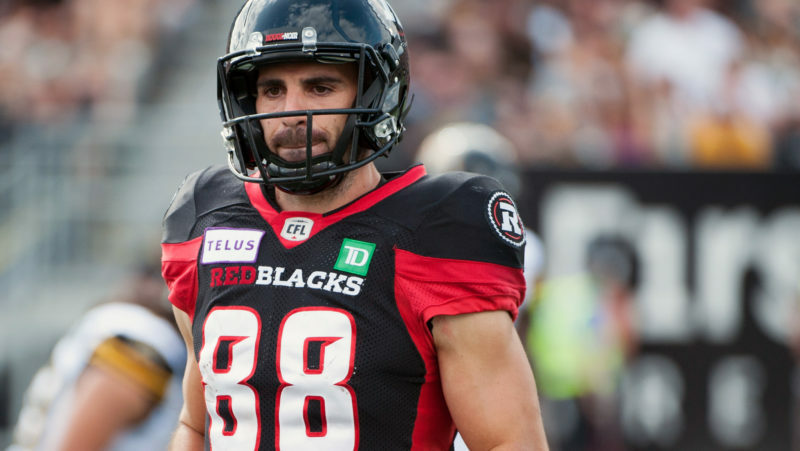 Sinopoli had four catches in each of his two games against Calgary this season, and has fared well against the Stamps throughout his career. The 30-year-old set a new standard for national receivers this season, breaking Ben Cahoon’s single-season record with 116 receptions in just 17 games. With 4,866 yards and 30 touchdowns over the last four seasons, no receiver has been more productive than Greg Ellingson. The 29-year-old wasn’t always the top option on his own offence this season, but remains one of the biggest receiving threats in the three-down game. Ellingson has five games of 100-plus yards this season and has heated up of late, totaling 215 yards and three touchdowns over his last two outings. 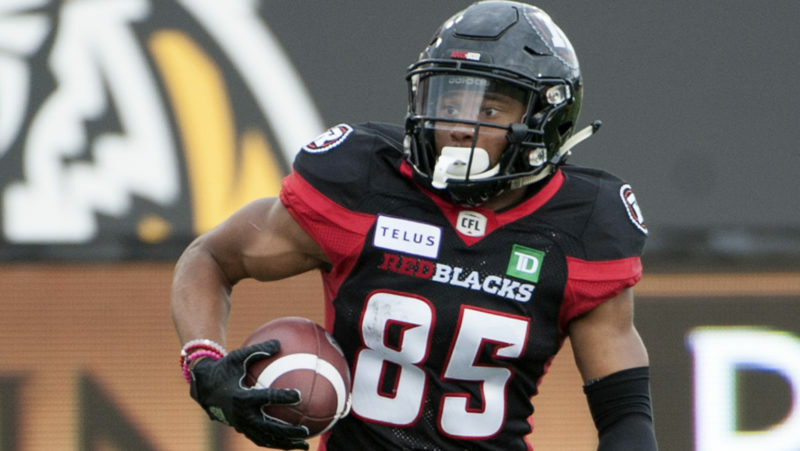 The ‘big three’ get all the attention in Ottawa, but RJ Harris has emerged as a reliable fourth option, finishing the season with 697 yards and a pair of touchdowns in 16 games. Trevor Harrislikes to spread the ball around and won’t hesitate to get his namesake involved, especially if the Stampeders are able to neutralize any of Sinopoli, Ellingson or Spencer. RJ Harris has a chance to make a name of himself on the biggest of stages. A year after rejuvenating his career with the Argos, Rico Murray had a big season under defensive coordinator Noel Thorpe in Ottawa. 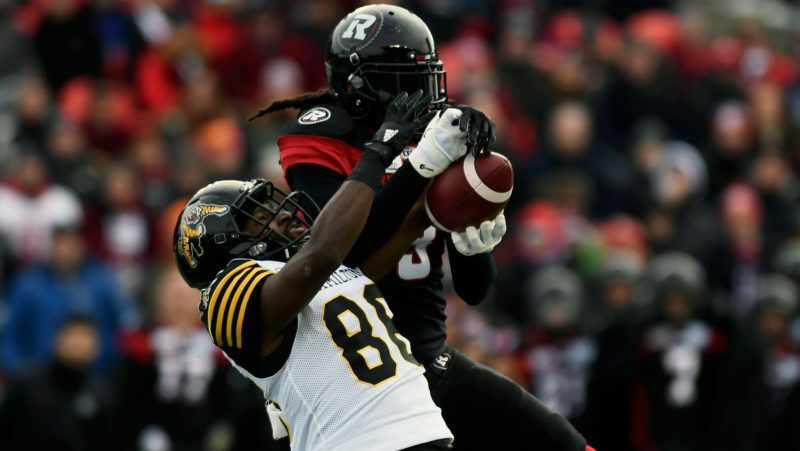 The REDBLACKS’ defensive back tied for a league-high five interceptions, also chipping in with 55 defensive tackles and a forced fumble along the way. Murray plays physical and flies to the football, making him a key factor on an Ottawa defence that needs to be aggressive and force Bo Levi Mitchell to make a game-altering mistake. Bo Levi Mitchell is the CFL’s all-time wins percentage leader among starting quarterbacks, yet if the Stamps lose on Sunday he’ll be remembered for something else. The Katy, Texas native is trying to avoid becoming the starter first since Sam Etcheverry from 1954 to 1956 to lose a Grey Cup in three consecutive seasons. Mitchell has had another great season in Red and White, putting him in position to win a second Most Outstanding Player award. But nothing matters more than the result on Sunday. 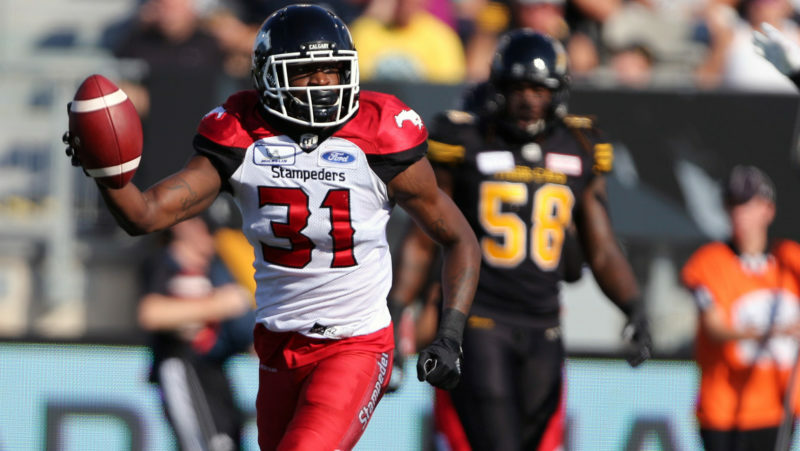 The Stamps have had to manage Eric Rogers‘ playing time this season as he deals with his surgically repaired knee. 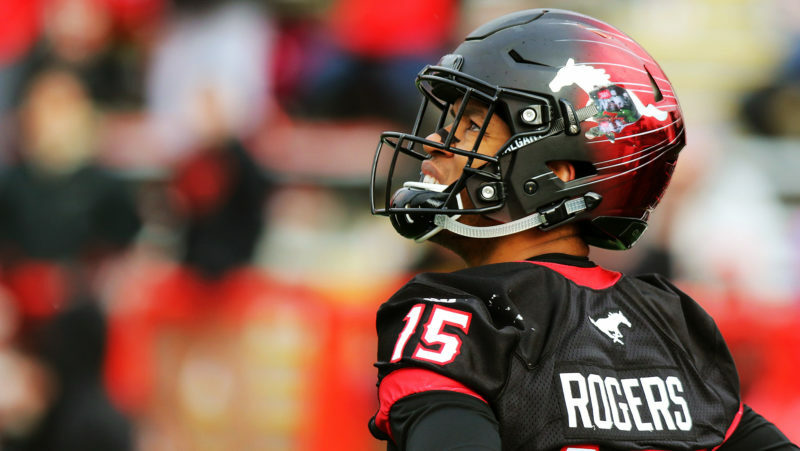 When he’s on the field he’s been productive though, and ‘post-season Rogers’ was on point once again in Sunday’s Western Final. 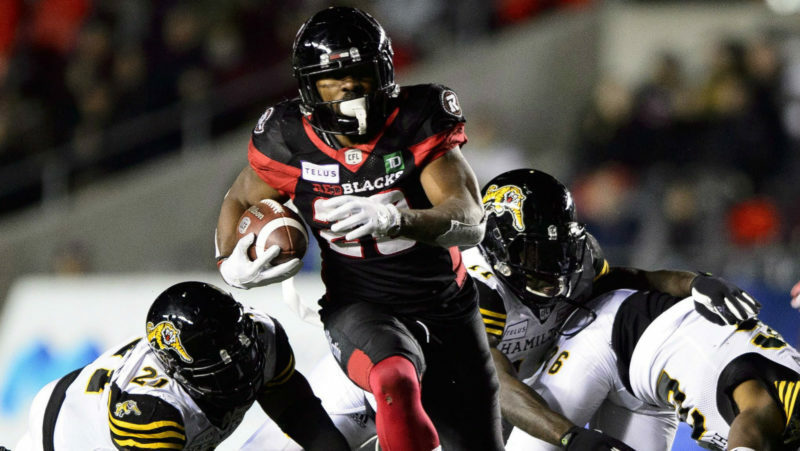 With his three touchdowns against the Bombers, Rogers has eight majors in five career playoff games (including the 102nd Grey Cup), averaging 83 yards per contest. Head Coach Dave Dickenson hopes he’ll be available for Sunday’s contest. It’s no stretch to say Micah Johnson has been the most dominant defensive player in the CFL this season, racking up a career-high 14 sacks while leading the league’s stingiest run defence. He’s especially picked it up of late, recording a sack in seven straight games and nine of his last 10 contests. After a three-sack performance against the REDBLACKS earlier in the season, offensive coordinator Jaime Elizondo needs to find ways to avoid Calgary’s most disruptive defensive player. With back-to-back seasons of 123 tackles, Alex Singleton has become the most sure-handed tackler in the CFL. 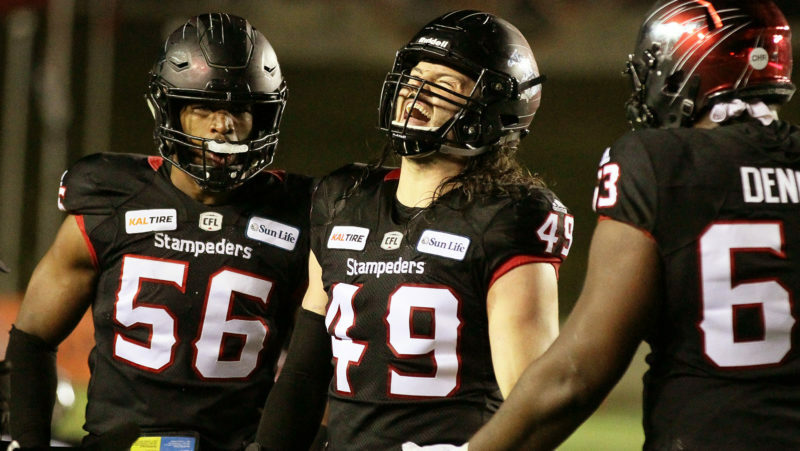 The Stamps’ top linebacker is capable of making big plays, but his role as a run-stuffer alongside Jameer Thurman will make things difficult for Ottawa to try and establish the ground game. 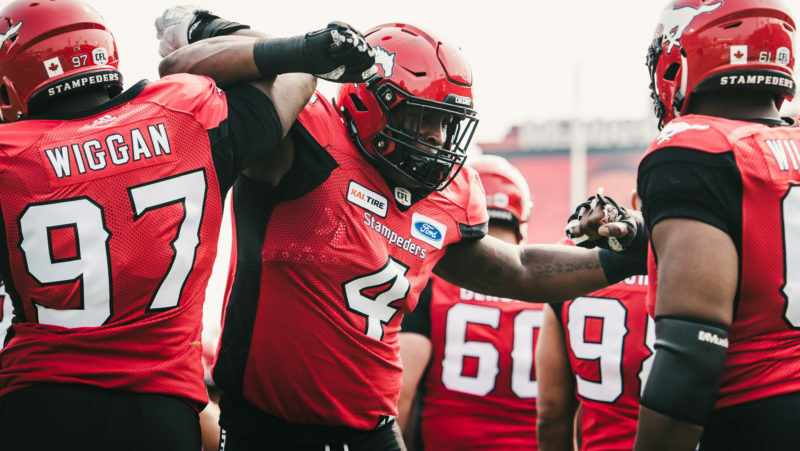 Singleton already has 13 defensive tackles to his name in two Grey Cup appearances, and will have a chance to add plenty more on Sunday. With an injury-plagued receiving corps, Chris Matthews has been a bit of a stabilizer since joining the Stampeders on short notice last month. The former NFL Seattle Seahawk and his 6-foot-5, 228-pound frame poses a unique threat to opposing defences, having the capability to win any one-on-one battle with a defender. The Stamps already boast the most vertical offence in the CFL, meaning both Matthews and Rogers will be a factor in Sunday’s game. The injury to Romar Morris last week will almost certainly press Terry Williams into action as a special teams returner and change of pace back. 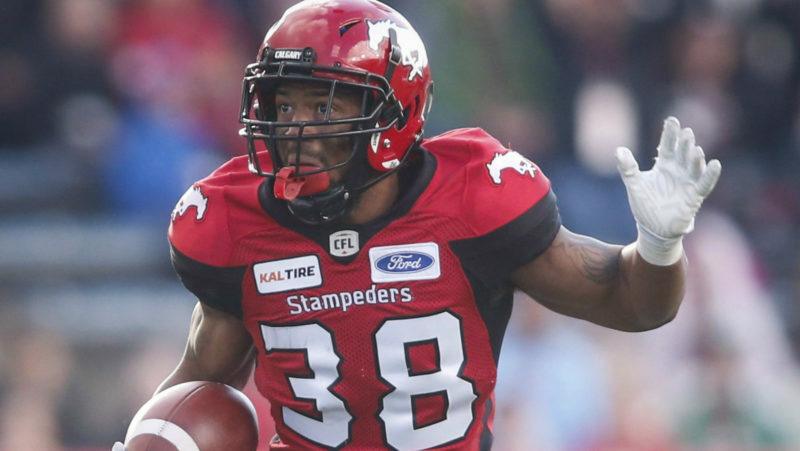 Williams was one of the CFL’s most productive punt returners this season, scoring a league-high three times and averaging 13.1 yards per return, good for third place. He’s also a threat on offence, bringing speed to the backfield to complement regular starter Don Jackson. Williams is the ultimate secret weapon. Though Jordan Williams-Lambert wound up getting the nod, many believed Tre Roberson was the most impressive rookie in the West Division this season. Roberson locked down Calgary’s boundary corner spot, drawing tough matchups against the league’s top receivers all season. He had 54 tackles and three interceptions in 16 games, also adding two forced fumbles while helping the Stampeders maintain the No. 1 scoring defence in the CFL.